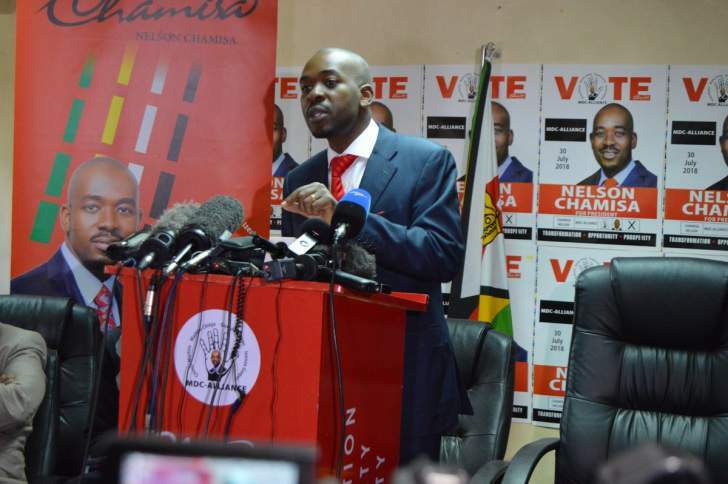 Yesterday, he was officially mandated by the MDC national council - the party's supreme decision-making body in-between congresses - to embark on a two-week consultation exercise. "The president will consult the people around the country for two weeks and whatever he will get from there will (inform) the course of action that the party will take to reclaim our victory which was stolen by Zanu-PF and Mnangagwa," Morgen Komichi, the party's national chairperson told the Daily News soon after the marathon meeting which lasted almost 10 hours. Ironically, the rallies come at a time when Mnangagwa has also lined up countrywide tours to thank the people of Zimbabwe for voting for him and Zanu-PF in the just-ended harmonised elections. "The national council also mandated the president to implement the resolution of intergradation which was made a long time ago and that the process must be completed before we hold our elective congress that is due next year. "We want to keep the alliance alive hence the decision we have taken. We also mandated the president to engage both international and local stakeholders on the need to make sure that the electoral problems that the country is facing are resolved, especially issues around State-sponsored violence, continued harassment of our supporters and so on but I must hasten to say that the national council only mandated him to engage them to a certain extent which means that there are limits," Komichi said. The first rally is scheduled for Kwekwe on Sunday.